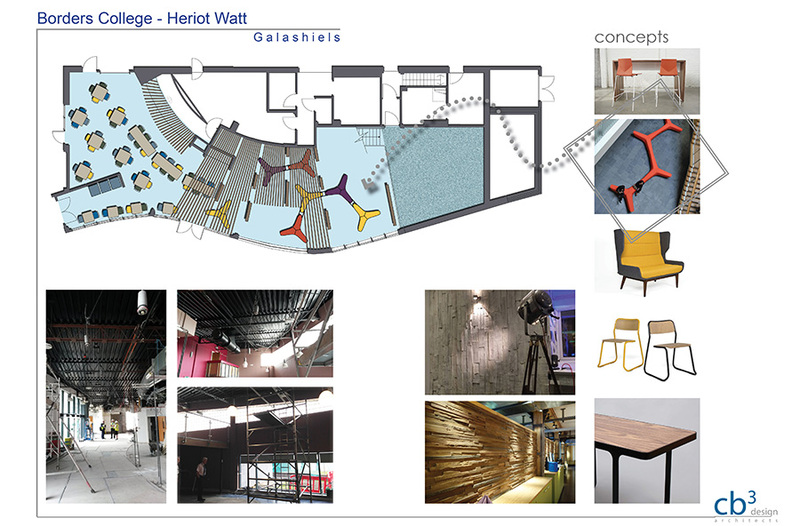 The operation and dynamics of the Netherdale, Galashiels Campus resulted in the Student Union, as a bar area, being little used. 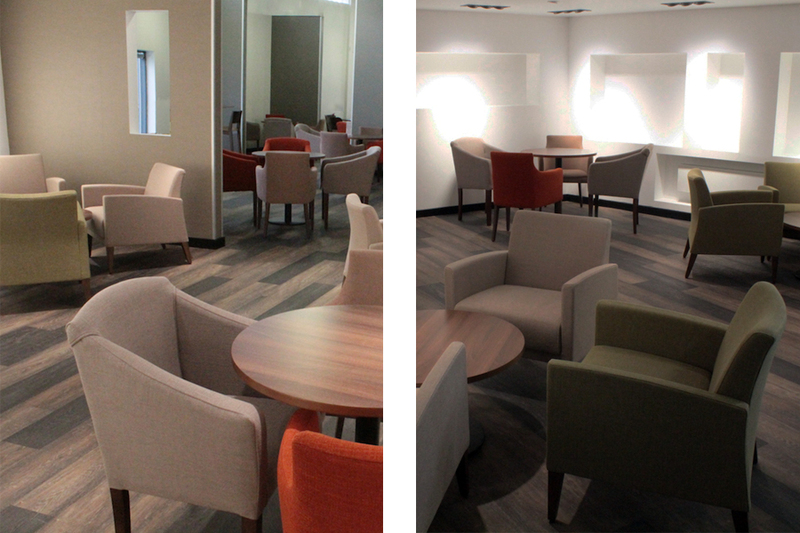 The facilities department asked us to have a look at developing the space as an upmarket coffee concession more suited to day-time, rather than evening, use. As the student numbers continue to rise there was also a requirement to increase the capacity of the space. The largest alteration was to address the existing double height area of the dance floor to maximise the available volume of space. By installing a Mezzanine level we increased the existing capacity by 50 percent. Removal of the existing, unused bar further added to the available area. An adjacent, previously unused courtyard is now accessible via a large glazed screen. The concept makes much use of timber – slatted timber feature ceilings, reclaimed timber screens to break up the space and create booth areas and joinery items for condiments and to conceal refuse/recycling. The plan adjusts through the space to allow for differing functions and occupation –quick breaks or longer study/ meeting sessions, private booth areas and open plan fluid spaces – to provide as much flexibility and versatility of use to the students and staff.